A number of major factors are affecting research and development (R&D) in crop protection products. These include an increasingly harsh regulatory environment and the rising cost of bringing new products to the market. In response to these pressures, the industry has two key areas of focus: developing new biological products and reformulating current chemistry. Both areas bring their own set of formulation challenges. Most government and regulatory authorities are now demanding formulations, which are cleaner and safer to use, have minimal impact on the environment and can be applied at the lowest rate. There is also pressure to use safer formulation additives and adjuvants, and to minimize pesticide residues in crops after spraying. All of these aspects are driving the development of improved formulation and adjuvant technologies. Developments in formulation technology and novel formulation types can give products a competitive advantage, add value or extend the life-cycle of active ingredients. There is now a re-focus and increase in expenditure on differentiation of off-patent molecules and the post launch development of proprietary molecules. As the rate of new product introduction slows, it is evident that a greater proportion of the R&D budget is being spent on trying to maximize sales of products when they reach patent expiry, rather than on new active ingredient research. Reformulated chemistry must offer environmental and safety improvements. The delivery system must enable a reduction in chemistry and an improved environmental profile through better targeting, greater adhesion, retention and uptake of the chemistry. It is evident that delivery platforms, which offer these improvements, are now a focus of formulation specialists large and small. As one example, polymer technology is being developed to enable the reformulation of agrochemicals to improve targeting and performance of pesticide active ingredients. Biological active ingredients bring their own set of formulation challenges. Key constraints to their development relate to scaling up in production, increased loading, storage stability and longevity in the field. Micro-organisms already in use include Beauveria, Trichoderma and Bacillus. The agro-chemical industry has turned to specialist biotechnology companies from adjacent industries in order to gain access to vast libraries of candidate organisms and large-scale production and formulation knowhow. Overcoming these production and formulation challenges could mean that orphaned products are found a home as was the case for the biopesticide now known as Pasteuria. The microbe was found to control nematodes on a par with methyl bromide by academic and USDA researchers some 50 years ago, but due to high production costs it was not commercialized until a breakthrough occurred in the discovery of its large scale production. There is no doubt that other similarly orphaned biological active ingredients are waiting to be commercialized with the right formulation technology. Increasingly, new formulation development is featuring dual and even ternary mixtures of active ingredients. This trend is forming a critical part of post-patent sales protection strategies; it is also leading to a new formulation category ‘Bio-Conventional’, which comprises biological organisms in combination with conventional chemistry. Also with the Bio-Conventional products just entering the market, evidence of this trend is further demonstrated in the number of patent applications for Bio-Conventional formulations, the leaders of which appear to be BASF, followed closely by Bayer Crop Science. Of course the combination of both biology and chemistry in one formulation requires a versatile delivery platform, which can offer both chemical reduction and meet the complex requirements of a biological organism. In light of the formulation challenges posed by both chemical and biological active ingredients, Exosect's proprietary formulation platform, Entostat, offers a unique solution. Entostat can be used in the formulation of both biological and chemical ingredients, enabling a reduction in chemical use and optimization in the delivery of micro-organisms. Entostat is a micro-powder comprised of a range of waxes, which are chemically inert and as such they are listed on FIFRA’s 25b list of inert ingredients that can be used in pesticide products that are exempt from regulation. Entostat readily gains and holds an electrostatic charge, which means that it adheres to a wide range of surfaces and herein lies the key to its versatility as a Lean Formulation platform. Entostat particles stick to seeds, grains and pellets, insects, foliage and building fabrics. This ‘stickiness’ enables the targeted delivery of active ingredients. A large body of work has demonstrated Entostat’s ability to deliver reduced chemistry at up to 50 percent in both dry powder and wet applications. The platform is also highly suited for seed applications. A dry formulation of Entostat aids seed fluency and is being commercialized as such in the United States and Canada by Talc USA. It also enables the targeted delivery of chemistry to seed and subsequent systemic action as has been demonstrated with the neonicotinoid Acetamiprid. In recent years, Exosect has responded to the growing trend of microbial use in crop protection and production by including a range of biological organisms in its R&D programme. Entostat has been proven to optimize formulations of candidate fungal and bacterial micro-organisms. Ongoing research includes a project, which uses Entostat to deliver two strains of Beauveria bassiana in collaboration with BASF, PGRO, Rothamsted Research and Oecos. A second project is focusing on the delivery of a Baculovirus using Entostat in collaboration with the Professor Kenneth Wilson of the Lancaster Environment Centre at Lancaster University and Principal Scientist David Grzywacz of the National Resource Institute at the University of Greenwich. 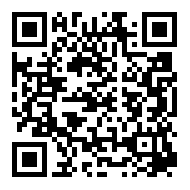 The virus market is currently limited due to the susceptibility of virus to ultraviolet radiation in the field; therefore this formulation innovation has the potential to unlock the market for virus products. 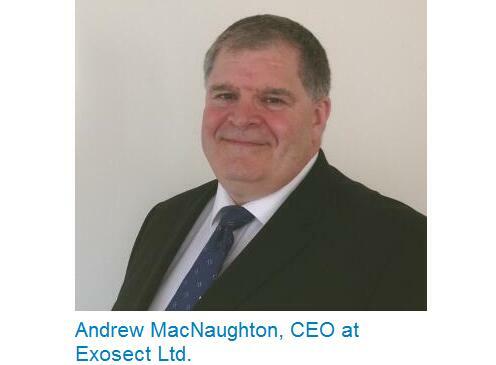 The Entostat platform also enables dual formulation and Exosect recently signed its first out-licensing agreement for such a formulation to a major agrochemical company. Looking ahead, it is clear that formulation technology and the intellectual property surrounding it will continue to be the focus of fierce competition. Indeed, for next generation gene silencing technology (RNAi), formulation innovation is positioned at the centre of the race for dominance. The ability to deliver gene silencing technology to a plant as a foliar application or even a seed treatment will be truly game changing and formulation and delivery are key areas of focus. To date, companies working on this technology are researching a range of synthetic and biological delivery vehicles for RNA molecules, such as silicone surfactants, viruses and food grade bacteria. With this in mind, it is absolutely the case that formulation innovation is today, and will remain to be, a competitive battle ground in agriculture. 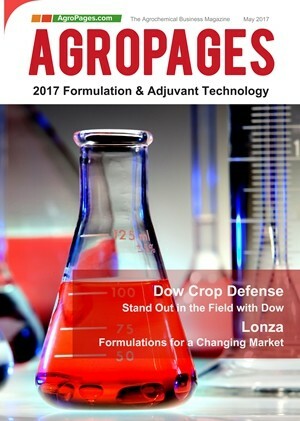 Please download AgroPages' latest business magazine - 2017 Formulation&Adjuvant Technology to see more.